While still a niche category, thousands of women are discovering the benefits of using breast enlargement products over traditional surgical methods. We believe this category is going to experience rapid growth over the next few years as more and more women become familiar with the range of products currently available which include pills, creams and devices. For affiliates this represents a opportunity to establish a campaign while the competition is still low. 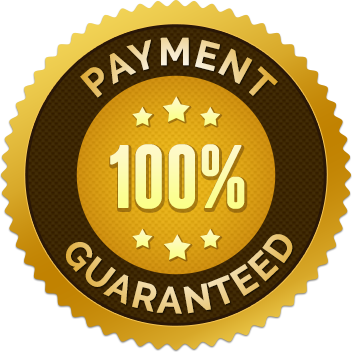 The products offered via the HealthTrader affiliate network are natural and non-invasive that work over a period of time. While there is a large product range, they have all been created with the sole purpose of increasing the size and enhancing the breast, which includes both firmness and perkiness. For many women this leads to improved self esteem and confidence. As an affiliate of HealthTrade you will have access to our affiliate support team who can provide you with valuable industry insights as well as assisting you to ensure your affiliate campaign is optimised to its full potential. Once you have signed up you will also receive instant access to thousands of resources such as website templates, banners, quotes and professional photos to name just a few. The variety of products I get to promote with HealthTrader has made expanding my campaigns easy. Join our Breast Enlargement Affiliate Program today! Your dedicated account manager will help you every step of the way. What type of breast enlargement products can I promote? With our Breast Enlargement Affiliate Program you will be able to promote a variety of high quality breast enlargement products. 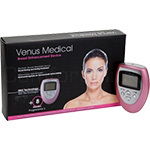 Many of these products have been created by well-known brands such as Total Curve and CC Fabulous, allowing you to promote creams, pills and even breast enlargement devices. What type of support will I receive from HealthTrader? Each of our affiliates are assigned an account manager who can be contact via email, skype or phone. As we have offices in London, India and New Zealand you will find our support staff online most hours of the day. We are a friendly bunch, so if you have a question please get in touch. Do breast sizes change naturally? Yes, breasts will change naturally over a period of time for a number of reasons. This includes age as the breast tissue will slowly loose its elasticity which is linked to the decline of the oestrogen hormone. Another major factor is weigh loss and weight gain as the size of the breast is largely determined by the fat content within the milk producing gland. Hormonal changes can also have a impact on breast sizes with most women gaining a couple of cup sizes during their pregnancy. Are there any risks for using breast enlargement supplements? While the supplements offered by our merchants are natural, consumers should always ready the directions for use on the product before using. Which breast enlargement subcategory sells best? 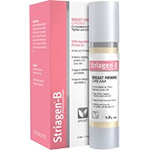 Breast enlargement products can be divided into creams, gels, supplements and devices. Currently creams and gels out perform the other 2 categories however competition is lower on supplements and devices. Let's have a look at what you could be earning with our Breast Enlargement Program. 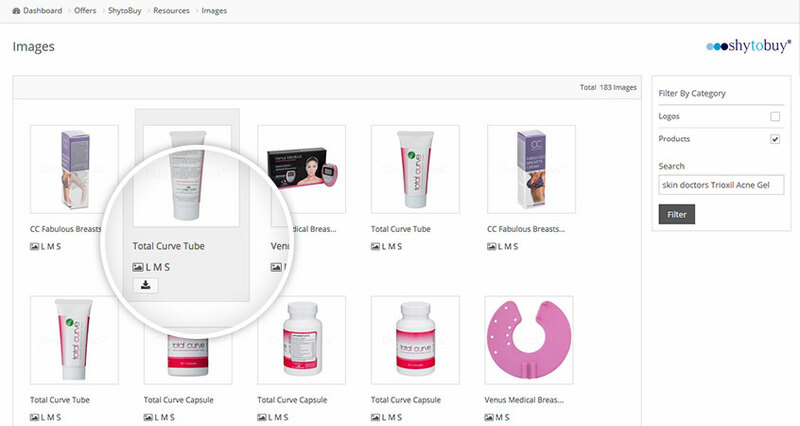 Here are some of the top performing breast enlargement products currently available via the HealthTrader affiliate offers. Once you have logged in to your account, make sure to have a look at the resources we provide for each of our offers. Below you will see examples of what you will have access to as a HealthTrader affiliate. 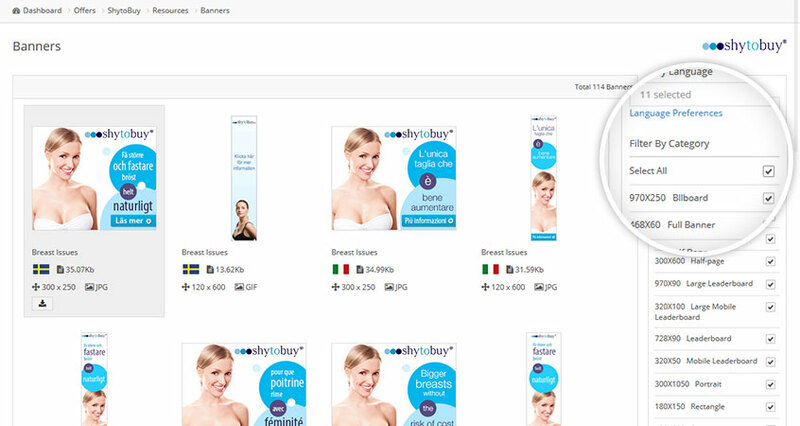 Search our database for breast enlargement banners. Reduce your bounce rate by making your website look more professional with our product images. 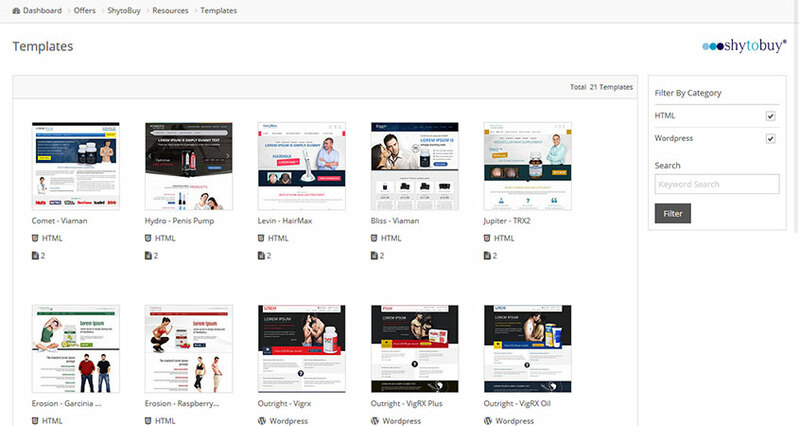 Need to build a website quickly, why not use one of our free templates to get started. 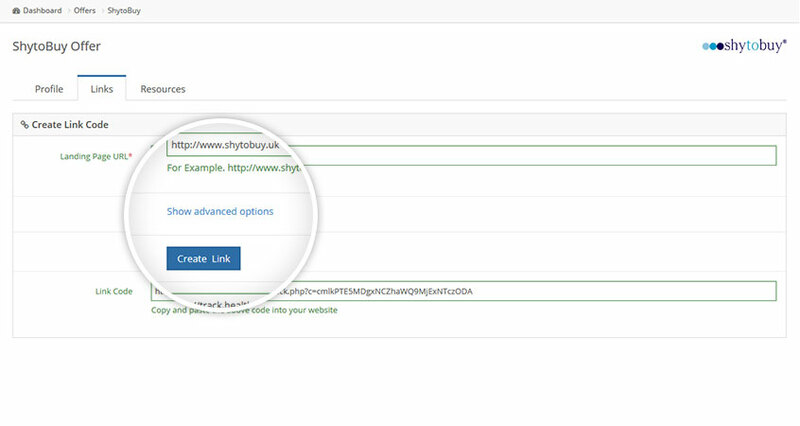 Create new links, setup campaigns and even geo target landing pages.